Today smart TVs have replaced the older version of televisions due to its capabilities of connecting with the Internet, which is shifting the focus of buyers towards them. Many leading companies are manufacturing the latest designs in smart TVs that are fully equipped with all the smart features which a buyer is looking for. One such kind of company is Samsung which has gained huge popularity in the television market due to the high end designs and awesome features it is offering in its television sets. Presently there are many designs and models available in smart TVs; Samsung 65” 4K Ultra HD Smart TV is one of them which will surely make your home more stylish and will complement its look. 1. Trustedreviews.com: If you want to enhance your gaming experience, then this mid-range TV is definitely for you to double the fun of gaming. The NU8000 offers an amazing gaming experience, with an excellent fast response time, low input lag and good overall picture quality you can continue your passion of playing games on a bigger screen with your friends and relatives. 2. 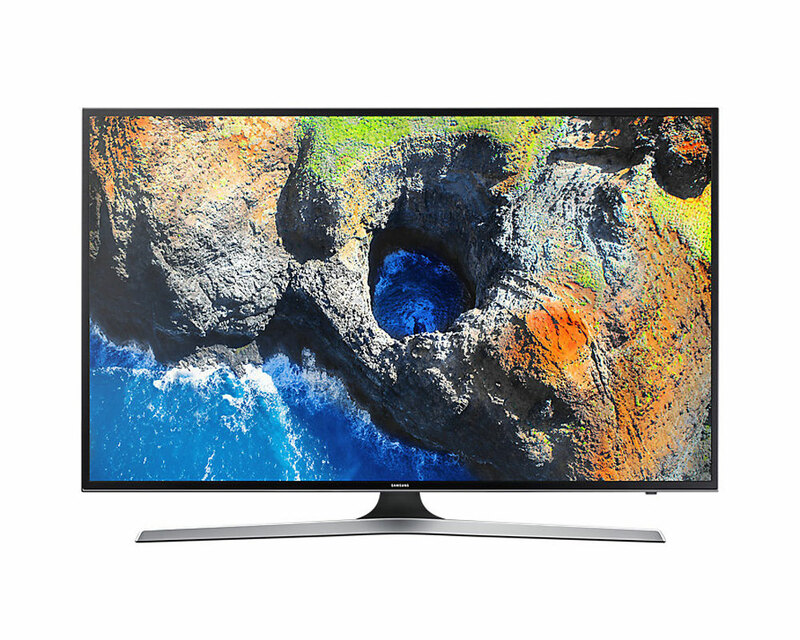 RTINGS.com: The Samsung NU8000 is a versatile 4k LED TV with amazing good picture quality which will offer you the pictures and motions in utmost clarity and with maximum sharpness. Most importantly, this TV includes the Bixby assistant for voice control so you can easily search your favorite program or show using your voice command. 3. Smartreview.com: Watching thecontent on 4K Ultra HD is similar to a movie theater experience where you can view the pictures and videos in utmost sharpness and clarity. Design: The sleek and elegant design makes it more attractive from all angles, inbuiltwith numerous features; the NU8000 has the latest and smart browsing with voice control through which you can easily find your shows. So spend your precious time watching the content and not searching for it only through the intelligent voice assistant- Bixby. Simply click the voice recognition on your remote or mobile and Bixby will respond instantly. Performance: TheHDR Plus will allow you to see movies and shows in the stunning high dynamic range; the OneRemote of the television will automatically detects and controls all your connected devices and content. The stunning depth of HDR plus more colors than HDTVs will make all the images and motions more dynamic and versatile, choose to watch the content in a wider range of brightness with HDR10+ technology. Connectivity: You caneasily connectyour smart TV with the outside devices and can share your, pictures, videos music and much more through your handset or PC to your Smart TV by using its Samsung Smart View app. The buyers can easily connect the TV with majority of their personal devices to share the memories with loved ones on a bigger and larger screen. Just download SmartThings App on your smart phone to control and monitor your new TV and connected devices on a bigger single screen. You can enjoy all the fast moving scenes with the least blur effects with Motion Rate 240. Also you can connect your gaming console and it will automatically optimize TV settings for a better gaming experience with super-fast refresh rates. Quick Access: The companyoffers quick and single access to all content sources so that you can enjoy all the movies, videos and much more in a hassle free manner. Its new Smart Hub offers single access point to Live TV, Over The Top (OTT), Games and much more so that the viewers can quickly access their favorite shows/programs immediately after turning the TV on. Price of the Smart TV: You can book your Samsung 65 Inch 4K Ultra HD Smart TV for just $1,199.99 or can also pay $100.00 per month for 12 months. Loaded with numerous advanced features, Samsung NU8000 is a must buy for every home who is planning to add a smart touch into their homes. Nothing in life is perfect, but if you get the best and latest features in a single device, then why not grab it fast and make your life more comfortable and entertaining. Use jet coupon code to get great discounts and offers on a wide range of TVs to choose from.Today buying smart TVs online is considered as the ideal way to purchase the product at reasonably discounted prices.